While I'd still LOVE for a song like "Stephen" to be released as a single, "Take It Off" is a smart choice for Ke$ha. It should continue her string of Top Ten hits off her debut album, Animal. While so far none of her singles have managed to see the same chart success as her debut "Tik Tok" which went #1, both "Blah Blah Blah" and "Your Love Is My Drug" managed to land inside the top ten (#7 and #4 respectively) so chances are good that "Take It Off" will do the same. The Ke$ha, Lucas Gottwald, Claude Kelly-written/Dr. Luke-produced song currently sits at #52 on the Billboard Hot 100 Chart. The song is fun, despite not really showing off any of Ke$ha's singing ability. I guess "singing" isn't what sells records these days. Oh well. No matter. Ke$ha has plenty of time to show the world whether or not she can sing. Video clips found on YouTube suggest she CAN in fact sing. The just released video for "Take It Off" sees Ke$ha partying it up with a bunch of her dirty, raunchy friends at some skeezy desert motel. The video is similar in vein to her friend Adam Lambert's video for "If I Had You," except considerably more triz-ashy. Overall, a fun time. Animal is FULL of single-worthy tracks so I'm excited to see WHAT the label chooses to release next, if anything at all. I should have known this was going to happen. 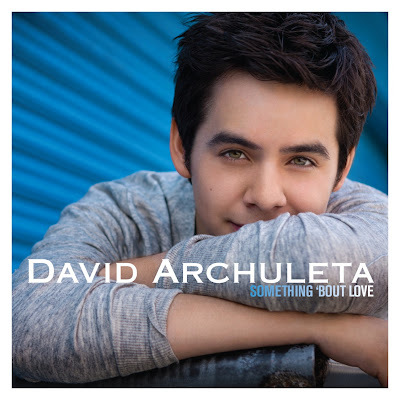 David Archuleta's new single, "Something 'Bout Love" is growing on me. Leave it to a music video to take a song that I previously wasn't feeling and turn it around nearly completely. I still maintain that "Something 'Bout Love" is pretty safe territory for the young singer but the song is definitely sweet. The song is accompanied by an equally sweet music video, which premiered yesterday on VEVO and features a sad-looking Archuleta and a cast of attractive young people. The video is your average happy, feel good music video, featuring the teenagers doing a variety of good deeds for other people, under the influence of...let me guess...love? The song is the first single off of Archuleta's second album, The Other Side of Down, due out October 5th on Jive Records. "Something 'Bout Love" was written by Archuleta, Chris DeStefano, Dave "Sluggo" Katz and Sam Hollander. It's available to download now on iTunes. I LOVE a good music video and the new Eminem video certainly delivers. 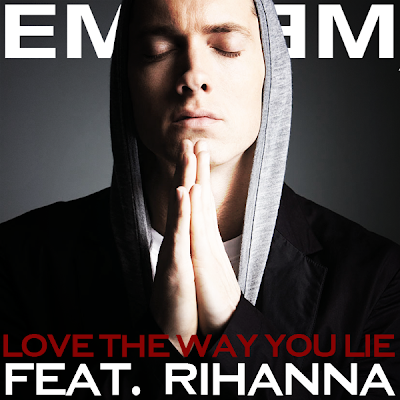 "Love The Way You Lie" is the second official single off of Eminem's seventh studio album Recovery. Admitedly, I haven't purchased an Eminem album since 2002's The Eminem Show but the material on Recovery MIGHT just rope me back in. While SOME critics and die-hard fans might call Eminem a sellout for going in a slightly more pop direction with collaborations with Rihanna and P!nk, you can't deny his talent as a rapper and as a songwriter. Produced by Alex da Kid, "Love The Way You Lie" packs a POWERFUL punch, and did so on the charts as well, earning Eminem his fourth #1 single on the Billboard Hot 100. The Joseph Kahn-directed video features the tumultous and violent relationship of two characters, portrayed by Lost's Dominic Monaghan and Transformers' babe Megan Fox. Rihanna makes an impactful appearance as well. Powerful song. Powerful video. Oops! Missed this news! One of my favorites, V.V. Brown stopped by the Late Show w/ David Letterman last night to perform her single, "Shark In The Water." It's nice to see Brown change up the performance a bit. Bigger band. Back up singers. Tambourine. Solid performance. Released this past February in America, "Shark In The Water" is V.V. Brown's first U.S. single. It managed to peak at #67 on the Billboard Hot 100 and #11 on the Billboard Hot Dance Club Play chart as well as #2 on the Billboard Heatseekers Songs chart. Pretty impressive. Her album, Travelling Like The Light made it all the way up to #179 on the Billboard 200. Brown is currently on tour in the U.S., opening for Maroon 5. Check out the performance below. Good job V.V.! While I LOVE Melua's first two international singles, "The Flood" and "A Happy Place," "Twisted" is another album standout for sure (as I mentioned in my review of the album). Written by Melua and songwriter Rick Nowels, "Twisted" is a fine alt. pop specimine. I'm not 100% sure why the label went with "Twisted" as the first U.S. single (which has already been sent to radio) but Melua certainly delivers on the live performance. Not only does she look gorgeous, but she sounds perfect! What a voice! Listen to that last note! Insanity! Check out Robin Robinson's little chat with my favorite Georgian-born singer/songwriter where she impresses with a Georgian tongue twister. Also, check out a lovely performance of the delectable Polly Scattergood co-written song "Red Balloons." Next up...another "Twisted" performance on Good Day New York. For the record...I hate the awkward small talk on morning shows...but oh well. Can't just have her launch into a song with no setup. This performance of "Twisted" is also a strong one. I have to say, I love seeing Katie with a band. When I saw her live in Cambridge last year she was just doing a solo, acoustic set. Here she's backed by a band and has some help with backing vocals. If you haven't had your fill of Katie yet, you can also catch her on tonight's Late Night w/ Jimmy Fallon, as she sits in with house band The Roots. Melua then returns to Europe where she plays at the Ledreborg Castle Festival in Denmark (8/21 - 8/22) before coming back to North America for an appearance on CBS's Second Cup Café, three gigs in Canada, and two performances at the prestigious Hiro Ballroom in New York City. Hopefully Katie will be back in the States for a more extensive tour. I'd love the opportunity to catch her again. She's mesmerizing to watch perform. Speaking of Katie Melua, if you haven't entered my giveaway, you have until Monday August 9th to do so. I'm giving away ONE copy of her latest masterpiece, The House. Open to U.S. residents only. Enter the giveaway by clicking HERE. Good luck!